Today I have another great Femme Fatale holo to show you. This was part of my frantic scramble to get all of my wishlist Femme Fatale polishes when they announced that current colours were being discontinued at the end of 2014. You can still find a bunch of them at various international stockists though if you need to complete your collection. Falling Glacier is a very light green (almost silver) linear holo with a strong green flash. I did my best to capture this colour shift but it is even brighter in real life. 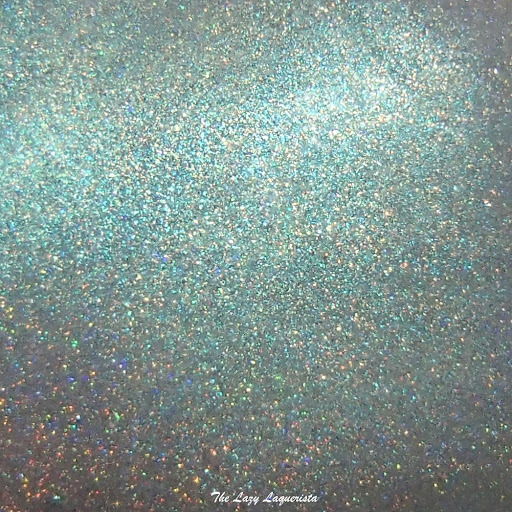 The result is an opalescent holo. The formula was great. I used three thin coats to reach opacity. Photos show three coats of Falling Glacier with one coat of Nubar Diamont top coat in daylight spectrum lighting.